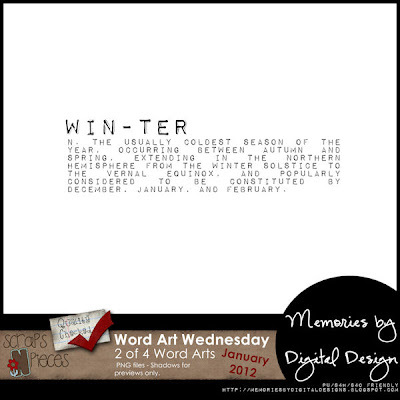 It's week 2 of January Word Art Wednesday. 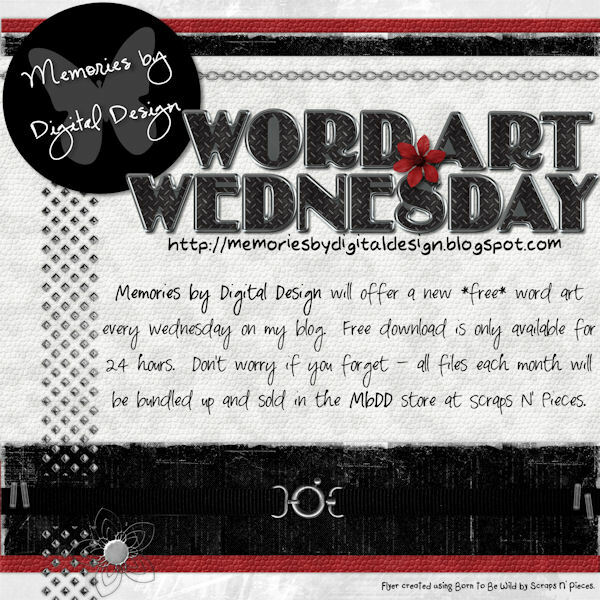 The word art will be available for 24 hours. If you miss it, don't fret - it'll be added to my store over Scraps N' Pieces the 1st part of February. Enjoy! This download has now expired. Thank you so much for this post. I want to let you know that I posted a link to your blog in CBH Digital Scrapbooking Freebies, under the Page 5 post on Jan. 11, 2012. Thanks again. Thank you -- love your freebies!